THIS SPECIAL IS NO LONGER AVAILABLE. CLICK HERE FOR AVAILABLE SCENTSY SPECIALS. We just got word that about this upcoming February special for our Scentsy oils with the purchase of a Scentsy Diffuser (also offered at 10 PERCENT OFF in February!) 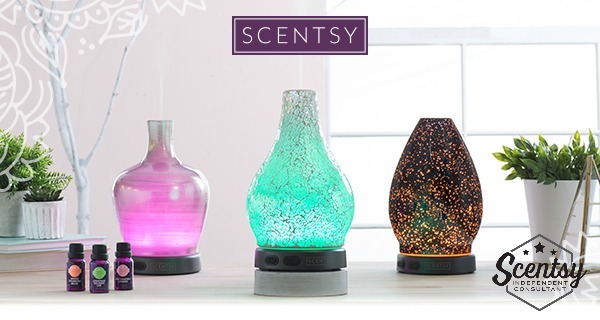 Between the handcrafted, artisan-inspired design and a dazzling display of color and light, each Scentsy Diffuser is a bona fide objet d’ art. But when you add customizable, fresh-picked fragrance and interchangeable shades, you have a whole new take on home décor! But the excitement doesn’t end there! Because February is our transition month (for consultants), our Diffusers will be 10 PERCENT OFF through Feb. 28! So you get free Scentsy Oils and discounted Scentsy Diffuser pricing. This is a GREAT bundle! Please note that SUPPLIES for this promotion ARE LIMITED, but all Scentsy Diffusers and Scentsy Oils will still be available for individual sale if the items allocated for the promotion have sold out. They will be going fast, so don’t wait! You’ll find a dash of spirit and fun in our Dash Scentsy Oil. We’ve bottled up the fragrance of crisp lime to purify the spirit, while the scent of tart lemon zest and fresh orange put a skip in your step. Our Dash Scentsy Oil blend offers fragrances of lime, lemon and orange. We pretty much have a fun purple bottle of sunshine. Simply add 10 – 15 drops of Dash Oil in your Scentsy Diffuser, and even on a rainy day you’ll be breathing in the sun. Sharpen your senses with Clear Scentsy Oil, a cleansing fragrance with eucalyptus, cooling peppermint, lavender essence and refreshing fir needle. Clear Scentsy Oil is a blend of essential oils that will add clarity and breezy freshness to any room. Our Clear Scentsy Oil offers essential oil notes of eucalyptus, peppermint, lavender, and a touch of fir needle. Simply add 10 – 15 drops of Clear Oil in your Scentsy Diffuser, and enjoy a refreshing scented space. Unwind with comforting blend of Calm Scentsy Oil. The fragrances of ginger and bright lemongrass will calm the senses. Notes of vetiver and petitgrain add balance and serenity. Let go of your stressful day with the Calm Essential Oil blend. Calm Scentsy Oil is the perfect blend of ginger, lemongrass, vetiver and petitgrain. Calming botanicals that offer balance and serenity –it’s the perfect oil to keep stress levels low. Simply add 10 – 15 drops of Calm Oil in your Scentsy Diffuser, take a few deep breaths and feel the calm settling in. Wake up to Boost Scentsy Oil with a brisk, buoyant bergamot, energizing mint and a hint of balancing amyris. Boost will live up to its name and give you just what you need when feeling a tired and sluggish. Get a boost with BOOST! Boost Scentsy Oil the perfect blend of bergamot, mint and amyris. This essential oil combination is the rejuvenation of energy your body needs. Simply add 10 – 15 drops of Boost Oil in your Scentsy Diffuser and your space becomes the power button of vitality. 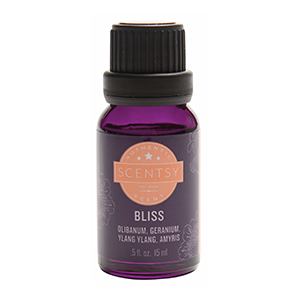 Our Bliss Scentsy Oil will delight your senses with the beauty of restorative geranium, amyris and ylang ylang as grounding olibanum brings harmony and peace. A fragrant harmony of pleasure for your soul is captured in this little purple bottle. With its alluring name, Bliss Scentsy Oil will captivate the senses. When combined, the fragrances of geranium, amyris, and ylang ylang enamor peace and restore harmony. Simply add 10 – 15 drops of Bliss Oil in your Scentsy Diffuser and fill the room with calm balance. Tangerine Oil offers a tangy, sweet scent to get you calmly out the door in the morning. The oil comes from the tangerine outer peel and gives off a warm, fresh aroma of citrus. Radiant and restorative, our citrus reticulata will have your senses sparkling. 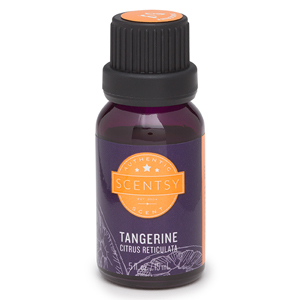 Scentsy Tangerine Essential Oil is 100% pure grade and the fragrance will help get you out the door in the morning. Simply add 10 – 15 drops of Tangerine Essential Oil in your Scentsy Diffuser and bring a calm, invigorating effect for a natural pick-me-up. For aromatherapy, Sage Essential Oil can stimulate the senses, calm nerves, and maybe help you remember where you left your keys. Wrap your environment in a cool and cleansing veil of salvia officinalis lamiaceae, cherished for its revitalizing properties. 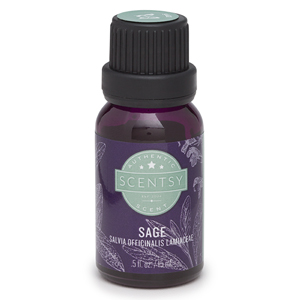 Scentsy Sage Essential Oil is 100% pure grade and the spicy fragrance will help with mental fatigue, and stimulate the senses. Add 10 – 15 drops of Sage Essential Oil in your Scentsy Diffuser and bring vitality to the mind and spirit. Scentsy Peppermint Essential Oil is 100% pure grade and the fragrance will take you cool, fresh, and uplifting destination. 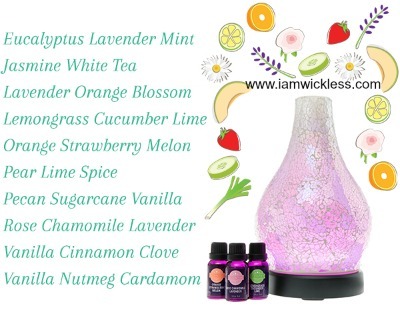 Add Peppermint Essential Oil to your Scentsy Diffuser and breath in energy and freshness. Peppermint is a fast growing plant that can grow up to 35” tall, with leaves that grow up to about 3.5” long. The leaves are dark green with maroon colored veins. The stem and leaves of the peppermint plant can be a bit fuzzy. If planted in permanently moist ground, the runners will take over. For the home gardener, it’s best to plant peppermint in containers, keeping the soil moist, but not water-logged. Peppermint does best in partial sun or shade and should be planted about 1.5 feet apart. Cultivated peppermint plants are selected based on their oil content.